Hello Chicopee! This new line from Denyse Schmidt is totally fun. I love these bold and vibrant colors and as a quilter, I love the smaller prints which I think will become staples in my stash. What I find interesting about this collection is that at first glance there are prints that I wouldn’t necessarily select on their own, yet I think they each add something perfect to the line as a whole. I knew that I needed to make a quilt using the entire line! 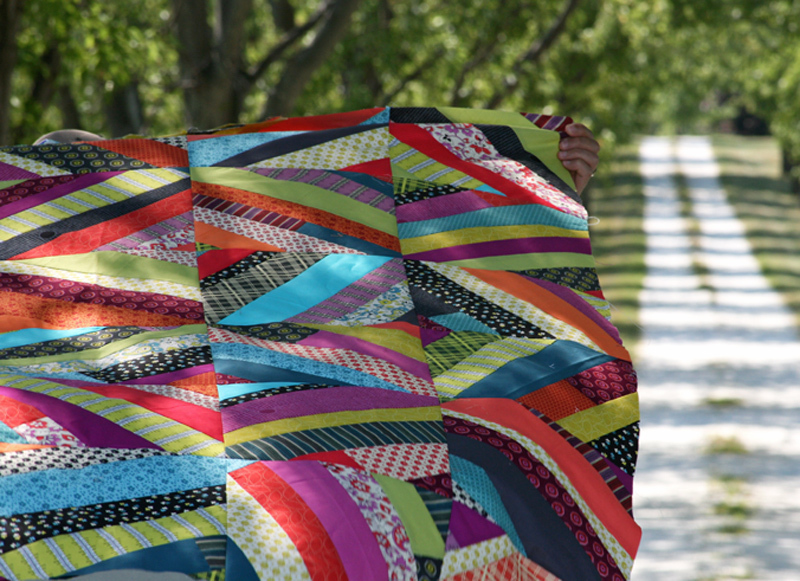 As you know, I’m a fan of any type of string quilt, and this one is no exception. Unlike the other string quilts I’ve made, this one doesn’t use a center string, so it’s a bit wonkier. To add to the look, I pieced a few strips and added a snippet or two whenever I found my strips a bit short. This entry was posted in Fabric, Posts about Quilts and tagged any way you slice it, chicopee, crazy quilt, denyse schmidt, Fabric, handmade, quilt, string quilt. Bookmark the permalink. oh, ashley!!! it is fantasically fabulously perfect!!! love all the colors together, they really are great and i agree, i would never choose some of them, but i love them all together. you’ve made a buyer out of me!!! I really like how you pieced some of the strings in this one. And the driveway, oh the happy memories it evokes of my grandmother’s house. I’m obsessed with the colors in this line. Its gorgeous! I can’t wait to see how you quilt it. Oh yay, new quilting vocab words! String quilt? Center string! Now I’m going to read your whole blog to find out exactly what these great sounding things are! It is so very pretty! Gorgeous!! I love that you paired it with Any Way You Slice It and the solids look really great with it. Gorgeous! I love this line so much! Can you please share which Cotton Couture colors you used? They look like they match perfectly! now i want this line too! 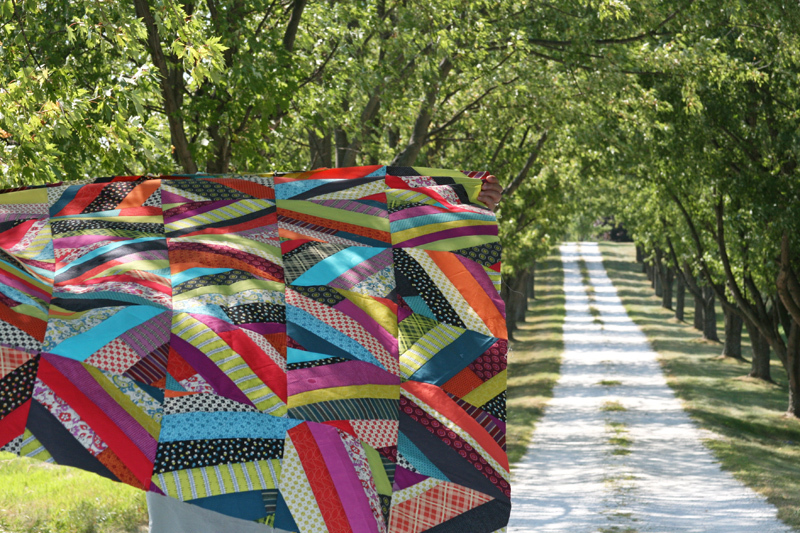 That’s one great driveway – I love that someone had the foresight and planted those trees, & of course the quilt is fantastic! So in addition to making gorgeous quilts you also seek out gorgeous backgrounds for their “portraits”. Good for you! Seriously, this is a beautiful quilt. Will love to see the final quilting on it. Gooorgeousness, Ashley! It looks absolutely pretty! And I WAS going to ask you about the awesome driveway, it’s the perfect background for photos! :)) Thanks so much for sharing! Love your string quilt and the fabrics! Very colorful and bright! Great setting for the picture as well. Thank you for sharing and for the link. Absolutely stunning….love it! Did you go totally improv or did you stack and whack Ashley? Just curious…..very very pretty and gorgeous photography! it’s a beauty, Ashley! perfect fabric and pattern pairing! Love that fabric and love what you’ve done with it. One of my faves among your many wonderful quilts. Thanks for sharing. Wow! 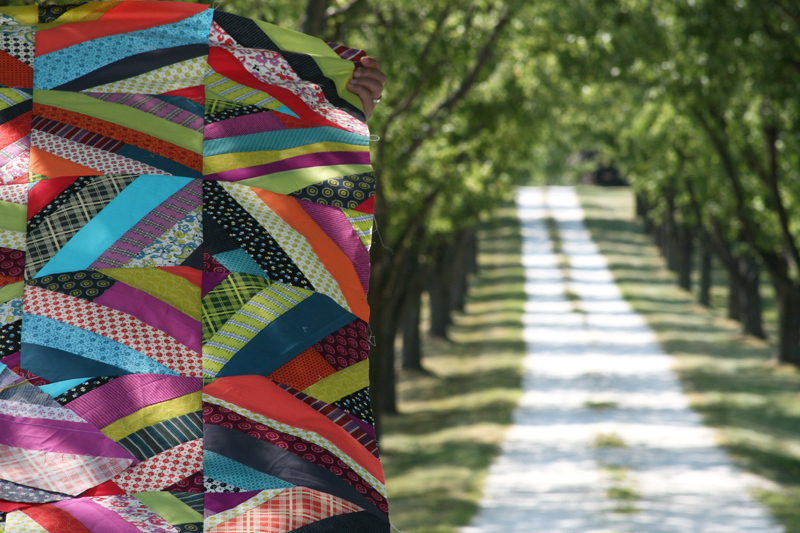 What a gorgeous and colorful quilt! Thank you for sharing! 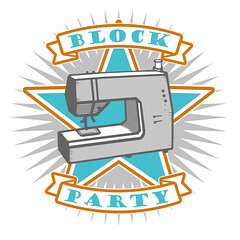 Hello Ashley, I have been following your blog since January and really enjoy your unique style of showing your quilts in different settings. So much fun! 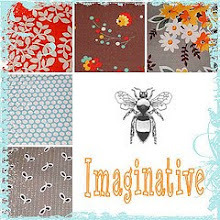 Since I am a new quilter, I have done mostly traditional quilts, but after seeing your pictures, my taste is leaning towards the modern fabric. I checked out your string piecing paper quilting tutorial and want to try that. Thanks for all your inspiration! GOrgeous! I absolutely love this!! Love this. Love the colors. I really like string quilts. I enjoyed reading on your project. I also wonder what center string mean? can you explain. Can you tell me on this chicopee quilt, what is your finished size block? Thanks in advance for the sharing.